As more buyers go online to search for homes, listing photos are more important than ever. 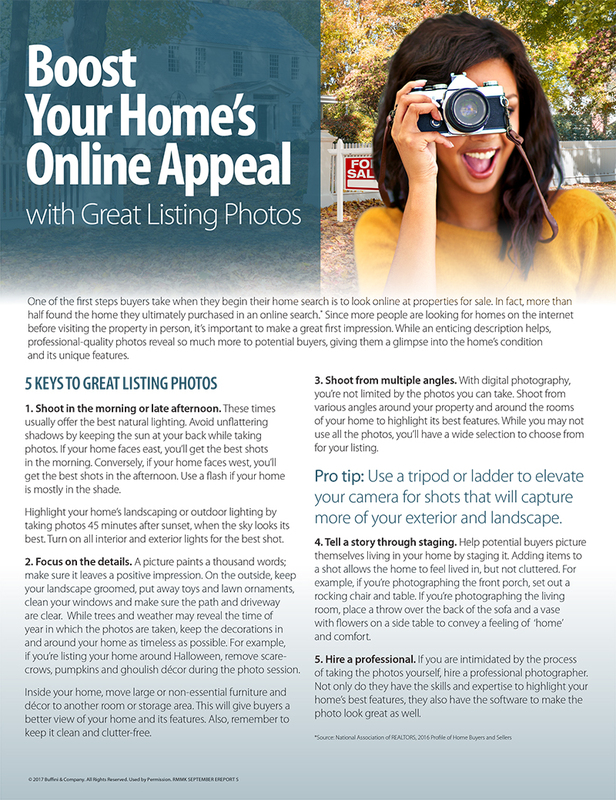 Below are several tips to help ensure your listing photos feature your home in its best light. If you’re thinking of listing, give me a call. I’d love to help you through the process.